Contact Property: 1623 Ridge Sweeping ocean views – from the east end of Molokai, to Honolulu Bay, and beyond! Fabulous ocean and coastal view villa, with a lanai you may never want to leave! 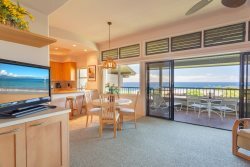 Sweeping ocean views – from the east end of Molokai, to Honolulu Bay, and beyond! Please send me email specials from Ridge Realty Rentals.